Barrel: 10.5" 4150V Chrome Moly vanadium steel, nitride treated for accuracy and durability, and chambered in 5.56 NATO with a 1 in 7" twist. Carbine-length gas barrel is finished off with a PSA 12" Slant End M-Lok Rail, a low profile gas block and a PSA Fluted Flash Can. Upper: Forged 7075-T6 A3 AR upper is made to MIL-SPECS and hard coat anodized black for durability. Featuring a mil-spec finish, these uppers are made for us right here in the USA by a mil-spec manufacturer. Flash Can: Palmetto State Armory's Fluted "FLASH CAN". This is a solid 6061 aluminum device that is designed to direct muzzle gases and the muzzle flash forward. Threaded 1/2x28 for 5.56 NATO. 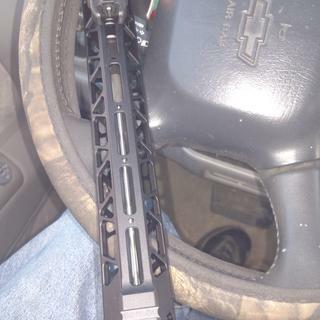 Black military-style hard anodizing. THIS DEVICE IS NOT DESIGNED TO REDUCE RECOIL, MUZZLE RISE, OR FLASH SIGNATURE. This device is designed to direct gasses and noise forward away from the shooter and enhance the weapon's appearance. Bolt Carrier Group: ToolCraft nickel boron BCG has a bolt made of mil-spec shot-peened Carpenter 158 steel. Gas key is secured with grade 8 fasteners and staked per mil-spec. Build Kit: A high quality lower build kit with everything you need to assemble your AR-15 lower into a pistol. Features Enhanced Polished Trigger (EPT), Magpul Grip, Magpul Trigger Guard, and black oxide coated hammer and trigger springs. Also includes SB Tactical SBA3 Adjustable Pistol Brace, castle nut, latch plate, carbine buffer spring, 5 positioning mil-spec buffer tube, and standard carbine buffer. Is this pistol just 5.56 or will it take .223 too? BEST ANSWER: Dont buy a gun. 223 works fine in a 556 weapon however 556 shouldn't be used in a 223. How hard is it to remove the flash can if desired ? BEST ANSWER: Lefty lossy and righty tighty. What is the thread pitch? It screws of with a little effort. What is the weight of this kit when assembled? BEST ANSWER: I just finished this build last night. Total weight without the sights was heavier than I thought coming in at 5 pounds 11 oz. I will tell you that it feels lighter with all the weight between your hands. Is this legal in PA? Can I file SBR paperwork on a later date to convert this? BEST ANSWER: Yes, its absolutely legal in Pennsylvania, and you can later after paper work and tax stamp finalized, then sbr it. Pennsylvania is still a free state! I have one with the shockwave brace. 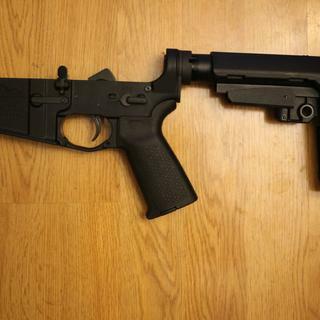 If you keep the Pistol Brace on it, it is considered a pistol and you don't need the SBR paperwork. It's a pistol. If you buy and build a stripped lower from scratch as a pistol, that's means it was born as a pistol and you can attach any upper under 16" and pistol brace you want. If you just want to SBR an existing rifle lower, file form 1 with the ATF BEFORE you attach it to the rifle lower. BEST ANSWER: From a review.... "Total length brace retracted 27 3/4" brace extended 30 1/2"." Ad is for the barreled UPPER only, not the assembled rifle. Can you buy this just as the upper and with FN CHF barrel? 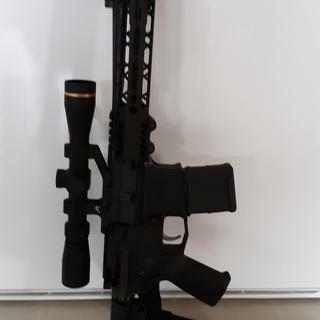 What's the interior diameter of the handguard, would like to put a can on possibly? BEST ANSWER: My caliper shows 1.33 in.,inside, but keep in mind that the handguard is not round, it has 7 sides and a larger cut out at the top for the gas block. The 1.33 in is between the flat sides. The outside diameter of the flash can on it is 1.19 in. I hope this is of some help. The supplied flash diverter is 1 1/8" OD with 1/8" clearance to the hand guard. I'm thinking that a can shouldn't be bigger than 1 3/8" OD to fit. Is the barrel in this kit HPT and MPI? BEST ANSWER: Usually if its not stated, then its not. Is the barrel marked as "Freedom" or "Premium"? BEST ANSWER: Does not say CHF. Therefore it is marked Freedom. Will a Omega 300 fit inside this rail? Will an Omega 9k fit? I have a gem tech g5 quick detach suppressor will it fit in rail? BEST ANSWER: Any muzzle device with a maximum 1.25" diameter will fit inside the fore end. measure carefully. 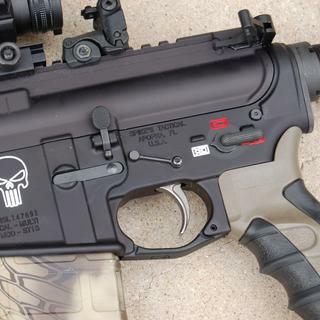 If I have a stripped lower receiver that is marked Rifle on it does using this kit make it an SBR instead of a pistol ? On a kit like this one. Would a lower receiver be the only thing I need to get for it? Are the sight included in this kit? BEST ANSWER: There were with this one. They're just cheaper plastic version, but I often see same deal without the bk up flip ups. If it say MBus in the description then they will be in there. Yes, Magpul MBUS front and rear flip up sights are included. Yes, black magpul mbus front and rear sights are included. Yes. The Magpul MBUS sights are included. 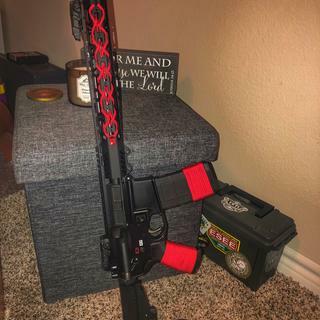 What lower do I get to match with this? BEST ANSWER: For mine, i got an aero precision ar15 stripped lower gen 2 and everything fit up nicely for me. I trade this kit between an Anderson lower, and a polymer. Any standard AR lower will work. Just make sure it's a pistol lower, unless you're are doing an SBR. Hi, You can get any stripped AR 15 lower that is mil. spec. For my build I picked up an AERO lower, and Im very happy with it so far. Good luck on your build. I put mine on a stripped Anderson lower purchased from my local gun shop worked very nicely. See my review and picture of how nice it came out. Any Milspec lwr, but for the money vs great quality? It will work with any standard AR-15 lower receiver. I used this on an 80% lower and it fits perfectly. I used an Aero Precision lower on mine. Really any lower will be fine. I bought a stripped Spikes Tactical lower that worked out just fine. I ordered a 80% lower from a 80% arms. What is the recoil like on this? BEST ANSWER: I bought a holosun and KAG to go into it when I finished it and she shoots perfect. I’m 5’7’’ and when I go from the low ready to target it’s the perfect length. Literally point and shoot type of length. No added weight in the front and the brace holds great especially for an adjustable one. Highly recommend this platform and company. Hope this helps! If I had to put numbers on it, I would say 5-10% more than a 16”. I still don’t think I’d call it “recoil,” but you will notice a very slight difference. The flash can really does its job, as well. No different than on a 16" barrel AR. The blast can on these shorter barreled AR really projects the sound forward. This is a great pistol kit! Minimal. No different than any other carbine length gas system. Same as other AR-15 platforms. Very smooth. 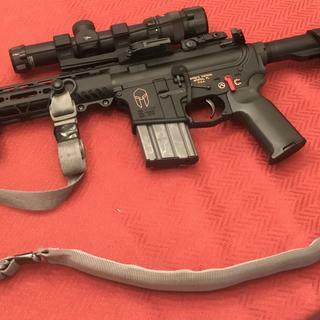 Does the rail have m-lok at the 12 o'clock position? Yes, the rail has m'lok at the 12, 3, 6, and 9 o'clock positions. There are also picattiny rail section at the beginning and end of the rail at the 12 o'clock position. If your asking if it has mlok on top, no. It's picatinny. Most AR rifle have picatinny on top, or some are going to just smooth. Yes. M-Lok at 12, 3, 6 and 9. Is this rail-style fore rail considered as making the barrel "free floated"? Is there "flex" of the fore arm toward the muzzle, preventing steady bipod use? Thank you. BEST ANSWER: Yes this is free floated handguard because it's mounted at the receiver and not just clamped on to the barrel. 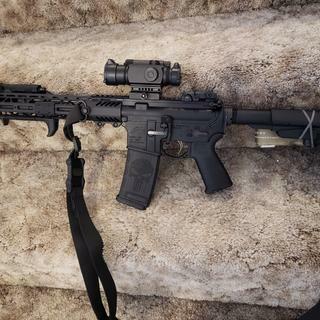 Since the barrel is fairly short (on this particular setup) I wouldn't think barrel whip would be a huge issue but you'd be mounting the bipod on the mlok sections of the handguard anyway. Hi, There is no flex at all. 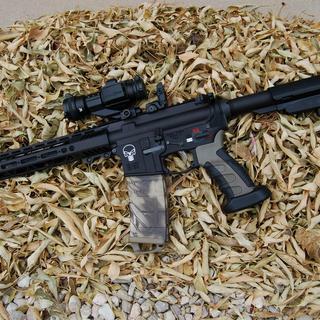 Short, compact, light weight and accurate with the Sig Romeo 5 red dot sight .. and really cool looking. Yes it is a free floated forend/hand guard , zero flex unless intentionally trying to touch flashcan to forend. It’s free floated. The rail is on securely with no movement. 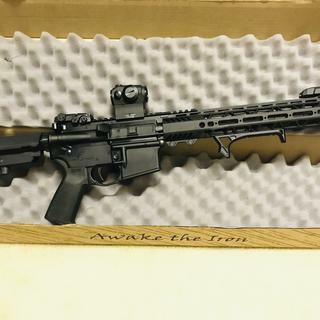 Does it come with magpul backup sights? BEST ANSWER: The acronym MBUS stands for just that. 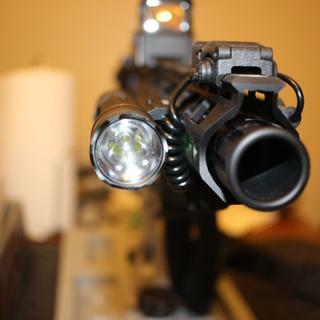 MagPul BackUp Sight. So yes, this kit comes with them. 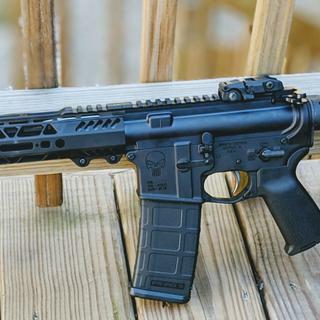 Does this upper have an adjustable gas block? BEST ANSWER: Mine has a standard low profile gas block. Non-adjustable. What is the distance from center of trigger to end of brace when fully extended? BEST ANSWER: Center of trigger guard to back of brace fully extended is 13" and fully retracted is 10-1/4" with carbine length buffer tube. This set up shoots really nicely off of the right side of the chest. I just measured it. 12.5 inches fully extended, 10 inches shut. is the bolt MPI and HPT? IF so is it stamped on the bolt? BEST ANSWER: Mine says "MPI", but I don't see any markings other than "made in the USA" on the bolt carrier. MPI is marked on the bolt only. I don’t see any markings on the BC. No HPT stamp what so ever. 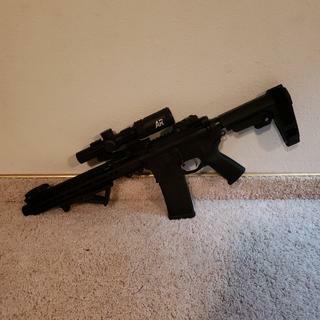 What all will I need to make it fully operational and also may I put a red dot & foregrip on it? BEST ANSWER: Build it on a unbuilt or pistol lower. The dot will attach to the rail and so will a vertical grip. You need a lower receiver and a magazine. Yes you can put a red dot and a forward grip on it. Does this have any QD Sling attachments already milled in or do I need to by some MLOCK adapters? BEST ANSWER: There is a total of 3 QD sling mounts on each side. There is one on the pistol brace as well as the on the handguard. On the handguard there is one about 2.5 inches from the upper receiver and another one about half an inch from the end. This comes with a standard backplate and standard mlock rail so if you desire qd attachments you'll need to purchase them. I hope this answers your question. 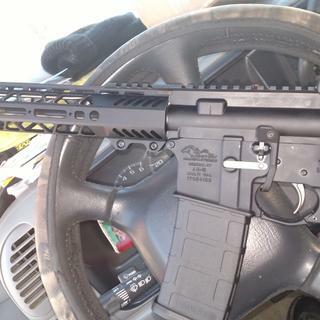 Is the handguard an in-house design or made by a different company? BEST ANSWER: It has PSA logo's on it. 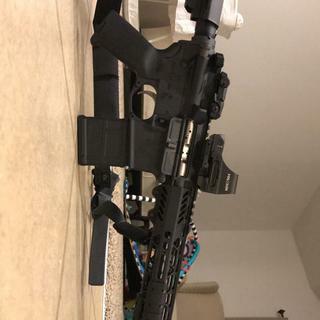 I like the rail, it is slim and fits my hand well( I have arthritis and it works for my hands). M-lok + 1913 @12 o:clock, m*lok@3,6, & 9 o'clock positions. Not familiar with pistol set up. 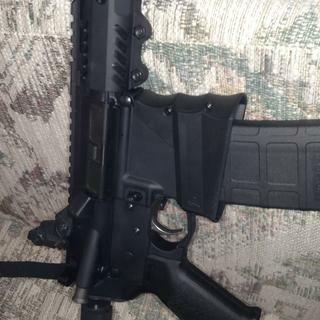 I have a PSA AR-15 Lower Safe/Fire - 1728 stripped lower. Is this ok to use on this set up, legally speaking? BEST ANSWER: Yes. It will be a considered a pistol. My kit arrived today. I bought a stripped lower a few weeks ago. The only thing I don't have is instructions. How do I get them? What else do I need for the build? BEST ANSWER: There are a ton of good youtube videos on how to assemble or disassemble the AR platform. If this is your first time set aside about two hours and find a room with a solid color hardwood floor in case the springs get loose on you. Would a flash hider extend beyond the end of the handguard? Are there any that would work? BEST ANSWER: No. It would have to be a longer than normal flash hider. An A2 flash hider for example would've be about 1 inch shorter than the end of hand guard. That's what I thought. Thanks for the fast reply. Overall a nice pistol kit. Feels quality and shoots reliably. EPT is better than standard trigger. Smooth and not creepy. Tossed the charging handle and sight set. Looking forward to load development and benching it. Muzzle can works great but can interfere with mounting accessories. My new do it all "pistol"
Couldn’t be happier. The pistol cycled great at 55gr and 62gr through my initial few magazines. Super light weight. The LPK, packaging, and additional springs is top notch. PSA at it again with great products at great pricing. One thing to be aware of on this handguard: what you gain in weight savings you give up in heat shielding, so consider gloves if you’re going through more than 1 mag; that being said, this wouldn’t stop me at all from buying it again. I'm Satisfied with the purchase Good Deal ! This was first build. Gun went together with no problems. Finish was better than inspected. Gun performed with no issues (200 rounds). Great Build Kit at a Great price! Fast shipping ordered on Friday morning at my door step Monday! Went together with a Psa lower and shoots like a dream! 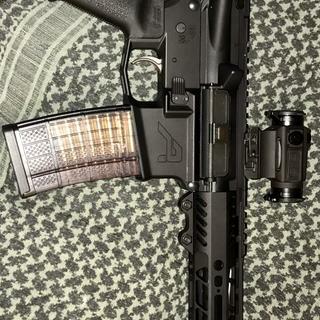 Mounted a vortex Sparc ar on top thing is nice! Great kit for the money! Super happy with how this build turned out! As expected, everything is good quality and only took a week before I had it at my door! Placed on a Sionics lower (would highly recommend). Bolt is MPI coated. Trigger feels really nice for standard trigger. No creep. Solid and crisp pull. The only two things I may replace are the trigger (may switch out for 3.5Ib - 4Ib), and the bolt (for a NP3 coated one). FOR THE MONEY, YOU CANNOT BEAT THIS KIT. Palmetto has done an awesome job with this one! You won’t stop at buying just one! I bought another after shooting the first one. 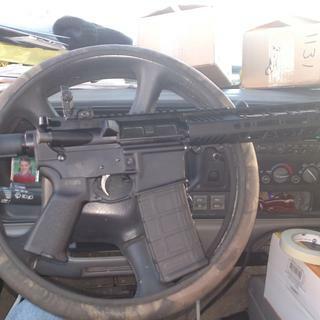 They work great for a home defense firearm or as a truck gun for the farm. I’ve busted two coyotes at over 100 yds with it in the last two weeks. I put a Romeo V red dot on both, set the zero at 50 yards with both sights and red dot. Best specialized firearm AND fun pinker you could get. Can’t complain for the price and quality of PSA. At the moment no issues for around 600 rounds. Fun and simple build with outstanding quality. Already planning my second build. Fantastic kit! This was my first build. Y'all make it so easy with these kits. The packaging is very well organized and simple to follow. I've put many rounds through my firearm and it hasn't missed a beat. Great quality! I'm already planning upgrades and looking forward to building another one. Its a nice build. I may upgrade the trigger, but its well worth the money. I like the ease of assembly and so far about 150 rounds through it, everything seems good to go. Added an Anderson Stripped Lower and the finished product looks great. Everything went together perfectly and it runs perfectly. I am thinking about getting another. 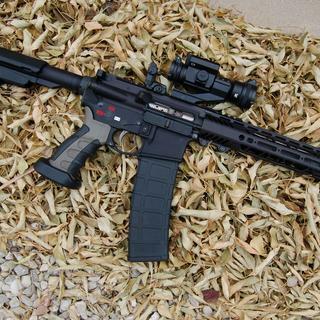 With the Included brace it’s like having an short barrel rifle without the hassle of getting approval. Fantastic kit. Fits and functions 100% highly recommend. Quality it better than guns I have paid significantly more for. Very impressed. Ordered upper and it was delivered within 72 hours. The quality of the upper is good and the bolt was well done. The Best Birthday Present Ever!! Got this kit as a surprise Father's Day/Birthday/Christmas present from my wife. 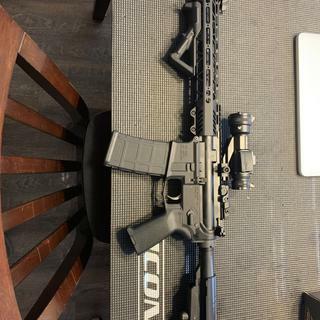 Eagerly assembled onto my Anderson lower, and I am very pleased with the build quality and fit. The finish was flawless, and the action is silky smooth. Can't wait until Sunday Gun Day comes. 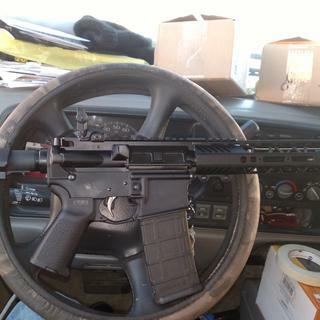 Going to get it sighted and start practicing for hunting season. I really don’t think I could be more pleased than I am with this kit. Fit and finish is excellent, the EPT trigger is outstanding, NiB bcg is worth the extra money, the can does a great job of deflecting blast downrange and the gun is reasonably accurate. 1000 rounds downrange and not a single malfunction. Awesome kit, runs like a dream in my Snek lower. 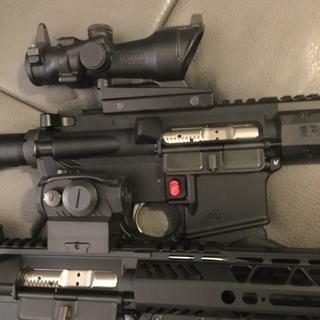 Not sure the Magpul MBUIS are really for this, I had to crank my front sight all if the way down, and it's still a little off. Overall, good deal. Received my kit a few days ago and finally assembled last night. Overall it is a good kit for the money. My only dislike is that the hangaurd has more of a gloss finish than the upper receiver. I wish the hangaurd matched the upper a little better. shipping was fast one week and it arrived. It had no blemishes. After assembling it I zeroed the pistol. On the 36 yard zero the bullets are touching. The ejection pattern is constant at 4:00. I have had No malfunctions and overall am very happy with the pistol. Don’t hesitate to buy. Smooth shooter, solid accuracy. Maybe 200rds with no malfunctions. I like! Make me smile! I keep! This was my 1st complete PSA build. Upper and lower parts kit. 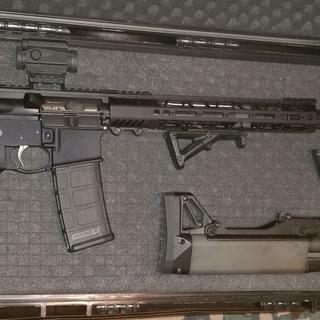 Everything fit well and worked superbly right out of the box.I used a Spikes Tactical stripped lower for the build. PSA rocks!!! I studied the various features of this kit and realized I felt it was exactly what I wanted at a very attractive, fair price. It arrived very quickly, was packaged nicely, and organized in small clear bags quite efficiently. Assembly onto my Aero M4E1 lower was straightforward and smooth. The kit parts are very nicely finished without scratches or blemishes. Every part fit flawlessly in my kit, as I expected it would based on a previous PSA kit purchase. With winter weather here, I wasn't able to try first shots until today. That's why my delayed rating. 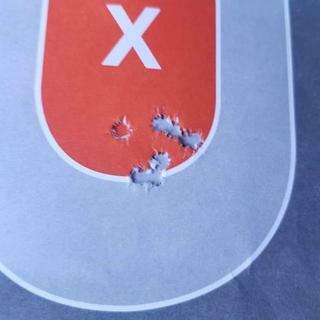 Happily, once I was on paper and able to begin testing, I found that using .223 Federal Black Pack ammo (bought in November 2018 from PSA) I was shooting 1 inch, 3 shot groups from a rest at 50 yards. Interestingly, when I switched to 1999 IMI 5.56 M193, the groups shrank to consistent 3/4 inch size at the same 50 yards. This is using a 4 power scope for testing, and from a padded rest on a bench. Function was flawless in the 45 rounds I fired. Positive chambering and ejection. A good, solid feel to the pistol all the way around. And it .....looks really cool! I'm very very pleased with my kit results. I do want to experiment with 62 grain projectiles to see if the 1 in 7 twist nitride barrel like or prefers the heavier weight. I'll likely also upgrade to a heavier buffer weight (if PSA ever gets them back in stock hint hint PSA) to see if the recoil impulse change makes any differences in my groups. 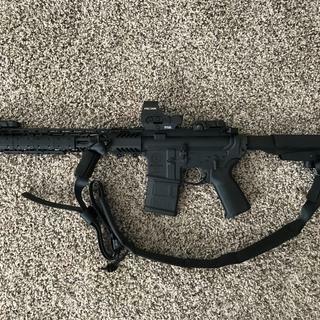 I admit I'm new to the AR style firearm and I'm enjoying the versatility of the design. PSA has made the journey into AR Land easy, affordable and fun for me. I Iike and appreciate PSA's dedication to the shooting enthusiasts among us, and I hope for a strong and prosperous future for them and their products. This kit was for me an excellent choice, combining premium features and high quality, with an affordable price tag. 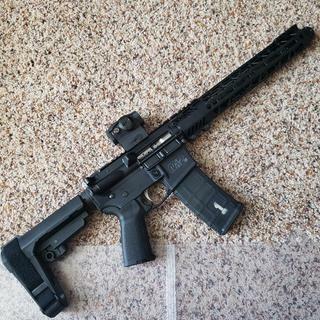 Great pistol build! I swapped the SBA3 for a SB Tactical PDW brace on mine, and this has quickly become my favorite range gun. It fits great broken down in a backpack as well. I love this build. Very affordable for the quality. Ive put alot of rounds through it and i did not have any issues whatsoever. Would buy again and did! I’ve had zero problems whatsoever with this kit. It arrived three days after order and for the price I can’t complain. I cannot however give an honest longevity test. I will say I had a half MOA at 50 yards which really surprised me. American eagle 55 grain. So nice I bought it twice! Great product amazing price!! Bought 2 of them! Everything as described with great fit and finish. Love it, it is loud but very nice... I wish they could put a few nicer parts in the package, like charging handle, ejection port cover. Other than that, very nice. Love it, first build zero failure. I'm very impressed with the fit and finish of the pistol and would recommend it to anyone looking for a nice shooting pistol. This was my first build. Everything went together without issue. I took the completed pistol to a competent gunsmith who checked everything over. No issues and headspace was properly spec'd. I've put about 300 rounds through it with 2 failures to load from 1 specific mag. With the iron sights I'm getting about 3 moa with 55 grain plinking ammo but in fairness Im not a great shot with irons at distance. 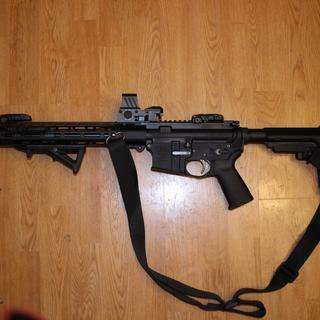 Great pistol and I'm looking at getting another one in 300 blackout. Good pistol overall, however the charging handle did not work at all. It was replaced with a quality one. Brass ejects 3 to 4 o’clock and ran about 100 rounds no issues. So all in all a good budget option. 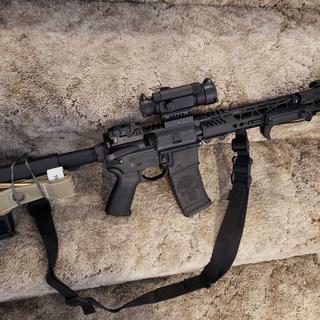 Very nice rifle. NiB BCG is very smooth. 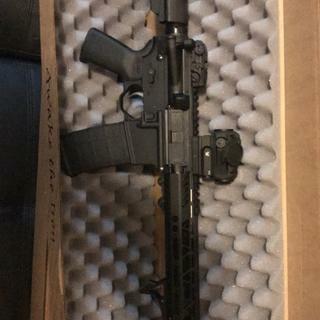 Having shot many ar's over the years I wanted a good quality rifle for myself. Finally decided to pull the trigger on a PSA and glad I did. Paired with PSA ar-15 lower. very reliable build, worked well. 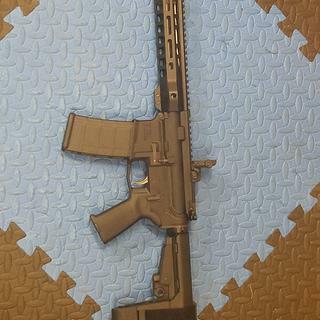 This is my first AR pistol build. This setup was amazing. 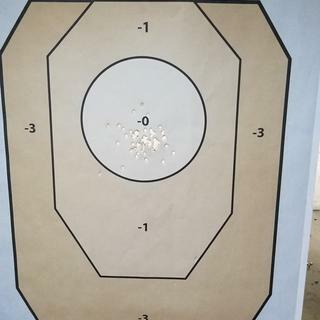 I zeroed in nothing flat and shot awesome groups. 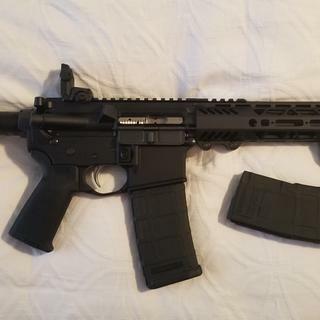 I already ordered another pistol build. This was my second PSA kit after the Shockwave. Same excellent quality and unbeatable value. check out my pix. Runs flawlessly on everything I've fed it. Will buy another PSA kit! High quality parts for Uber cheap, it is turning out to be a sweet looking pistol!! 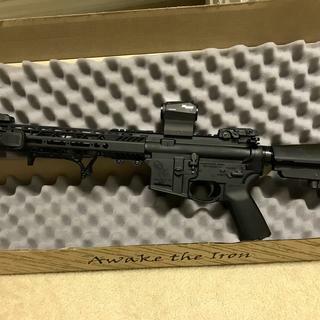 Can not wait to grab a 300blk upper next for it. Cannot wait to shoot this thing!! Thanks Palmetto State Armory! Expectations met, mine are high. PSAK-47 next & a review video! I was encouraged to order your complete uppers by my coworker and I'm glad I did. Outstanding product at an outstanding price! I will definitely be ordering more products from PSA!